Talkdesk and Mitel chose the Channel Partners event being held in Las Vegas this week as the launchpad for a new strategic partnership. 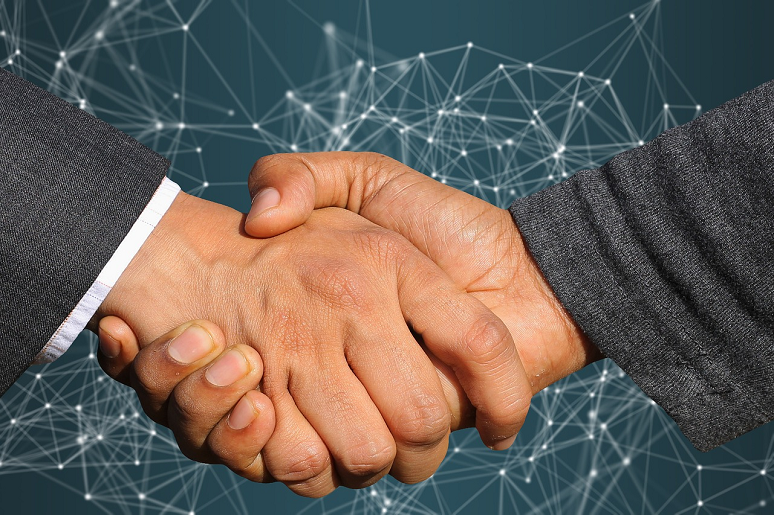 Via the partnership, Mitel’s new MiCloud Connect CX, powered by Talkdesk, will be available this month on Mitel’s unified communications-as-a-service (UCaaS) platform MiCloud Connect, and also available as an option for Mitel’s extensive base of on-premises unified communications customers. By the end of 2019, MiCloud Connect CX will be available as a tightly coupled, integrated solution with MiCloud Connect CX for UCaaS customers, and as a contact center as a service (CCaaS) migration choice for Mitel’s extensive global installed base of premises-based unified communications customers. It was just eight months ago that I wrote, in Mitel Recalibrates Contact Center Strategy, how the company was doubling down on contact center. In that post, I reported that Mitel had added a white-labeled CCaaS solution to its contact center portfolio. With this week’s announcement, Mitel continues to recalibrate its strategy in several ways. First, this is no white-label exercise. Not only has Mitel decided to go forward with a different CCaaS partner, but by issuing a joint press release, Mitel is signaling that it believes there is value in linking its brand with Talkdesk’s. Phase 1: Mitel begins reselling Talkdesk product to their UCaaS customers; UCaaS generally available April 2019. Phase 2: Mitel begins selling CCaaS to UC customers (i.e., premises and single-tenant cloud Flex) in May 2019. In Q3 2019, Talkdesk product gets initial rebranding as Mitel. Phase 3: Talkdesk product gets integrated with the Mitel MiCloud Connect UCaaS platform in December 2019. Mitel and Talkdesk explain that they are in the planning stages to determine what this integration will look like initially and say that it will continue to evolve over time. While the timeline looks aggressive, in fact, Mitel and Talkdesk have already been working together for several months. 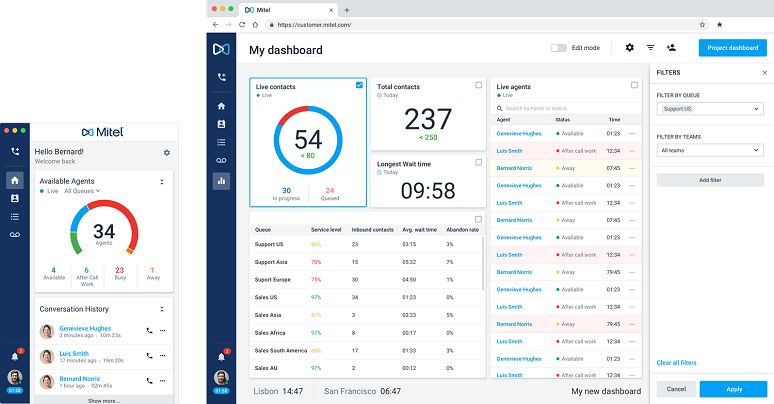 During a joint briefing with Matthew Clare, director of contact center solutions at Mitel, and Tom Milligan, vice president of strategic partnerships at Talkdesk, both were proud to show the Mitel-branded version of the Talkdesk Callbar application (below). As detailed in numerous articles both here on No Jitter and elsewhere, contact center -- and specifically CCaaS -- were front and center at this year’s Enterprise Connect conference. One of the key themes surrounding CCaaS is the role it will play both as a standalone application and as part of a broader UCaaS/CCaaS play. With this announcement, both Mitel and Talkdesk re-define their approach to this potentially looming opportunity. And speaking of Clare, his path to Mitel may be worthy of note here. Clare was part of Mitel’s acquisition of its then contact center OEM partner, prairieFyre, in 2013. So, Mitel has a history of buying its contact center OEM. #JustSaying. This new venture, from serial entrepreneurs and CCaaS pioneers, aims to set the bar for AI-powered cloud contact centers. Newly installed CEO, Patrick Dennis, is priming the Via platform for greater presence in the enterprise. Launching a new partner app store, Talkdesk sets its sights on the enterprise.